Do you have a disability that prevents you from working? Find out how we can help you get the Social Security Disability benefits you’re entitled to. If you’re considering applying for Social Security Disability Insurance (SSDI), you may be feeling confused about the process and whether you qualify. The good news is that you have come to the right place. The following information is intended to give you a quick summary of the SSDI basics, such as what SSDI is, who qualifies, how to apply, whether you need a lawyer, and what happens if you’re denied. We encourage you to read the more detailed articles that we have on each of these topics; but first, let’s look at the program in general so we can help you determine whether applying for SSDI is right for you. What is SSDI, and how does it differ from Supplemental Security Income (SSI)? “Applying for social security” actually refers to either or both of two different programs administered by the Social Security Administration (SSA): Social Security Disability Insurance (SSDI) and Supplemental Security Income (SSI). The basic purpose is the same for both programs: To provide financial assistance for people who have become disabled and are unable to work as a result of that disability. The funds available through SSDI and SSI are intended to make up for the income that disabled people are not able to earn because their disability keeps them from working. The difference between SSDI and SSI is that SSDI is for people who used to work before they became disabled and, when they worked, they paid taxes into the Social Security system. Therefore, a disabled person qualifies for SSDI based upon their prior work history and what they paid into the system; their assets and income have no impact on their SSDI benefits. SSI, on the other hand, is a needs-based program. That means that a disabled person who needs financial assistance in order to pay for his or her basic living expenses can receive SSI regardless of whether he or she has ever worked or paid any Social Security taxes in the past. If you apply and are approved for SSDI, that means that you, and possibly your spouse and dependent children, will be eligible to receive funds from the SSA. The amount that you will receive depends upon how long you were in the workforce and how much you paid into Social Security while you were employed. In order to qualify for SSDI, you must be disabled and you must have worked and paid Social Security taxes while you were working. However, becoming approved for SSDI is not as simple as this basic qualification information makes it sound. The truth is that there is no simple definition of who is and who is not disabled. Further, it isn’t enough simply to be disabled. You must also be able to prove that you are disabled, which means that the SSA must also find you to be disabled. The SSA defines a person as disabled if he or she is affected by a medical or mental condition which can be considered severe and, because of this condition, the person is no longer able to perform “substantial gainful activity.” The person’s impairment must have been affecting them for at least 12 months or is expected to affect them for at least 12 months, or could possibly result in that their death. However, being disabled and having been employed in the past is not enough to qualify for SSDI – you also must have been employed and paying Social Security taxes for a certain amount of time, and you must have earned a certain number of what the SSA calls “work credits.” Calculating these credits can be a difficult process, and we encourage you to read our forthcoming article on Calculating Work Credits for more information. The short answer is that you apply for SSDI by submitting an application to the SSA, and, with that application, you include evidence demonstrating that you are disabled and that you have a sufficient number of work credits to meet the qualifications for receiving benefits. In order to demonstrate that you are disabled, you need to provide medical records and statements from your doctor which prove that your medical condition is one which lasts for 12 months or longer and which prevents you from earning a living. What happens if your SSDI application is denied? Unfortunately for applicants, most SSDI applications are denied when they are first submitted. Therefore, it is in your best interest to prepare yourself for what to do in case your application is among those denied. The good news, however, is that most appeals are denied for the same reason – inadequate or incomplete medical information – meaning that if you are diligent in your application process, you can avoid common mistakes. If your SSDI application is denied, then you can (and should) file what is called an appeal. An appeal is essentially a request for reconsideration. Many people who did not file their initial application with the help of a Social Security Disability Attorney choose to hire one at the appellate stage because an SSDI appeal is often more difficult than the initial application process. Do you need a lawyer in order to apply for SSDI? How much does a lawyer charge to help someone apply for SSDI? When it comes to attorneys, you do not NEED a lawyer in order to apply for SSDI, but having an attorney can make the application process easier and can therefore improve your chances of being approved. SSDI attorneys are familiar with Social Security rules and regulations and are better able to prepare for a hearing before a judge, if one is required. In addition, experienced attorneys are more likely to know the types of supporting documentation you need to submit in order to sufficiently prove your disability – which is one of the most important components of your disability application. As for how much an attorney costs, representation fees in Social Security cases are set by law: an attorney is permitted to receive 25% of their client’s back pay when the attorney wins, but that 25% cannot exceed a maximum of $6000 (excluding reimbursements for any expenses that the attorney paid out of pocket, such as fees for obtaining your medical records). Therefore, if you choose to hire an attorney, that attorney will only be paid if you are successful. This means that it is in the lawyer’s best interest to work as hard as possible for you. Why should you use Fraulob – Brown for your SSDI or SSI case? At Fraulob – Brown, we are experts in navigating the Social Security Disability Insurance program. When partner Melissa C. Brown began her legal career, she was employed as a staff attorney for the Office of Hearings and Appeals where she conducted pre-trial conferences and wrote the decisions for the Administrative Law Judges. Thereafter, she literally “wrote the book” regarding representing disabled clients. Her book, Advising the Elderly or Disabled Client, is the authoritative source on advising elderly and disabled clients and it is utilized by law schools and practicing attorneys throughout the United States. Applying for Social Security Disability Insurance can be a challenging process, but it is not an impossible one. The best way to increase your chances of submitting a successful application is to educate yourself about the requirements of the SSDI program and to learn what you can do to adequately prepare for the submission process. However, having an experienced attorney at your side is the best way to ensure that you have covered all of your bases and hiring legal counsel can dramatically increase your likelihood of success. If you’ve become disabled and you meet the requirements, you should have the right to apply for and receive SSDI benefits – and a knowledgeable attorney can be there to ensure that you don’t go through this process alone. 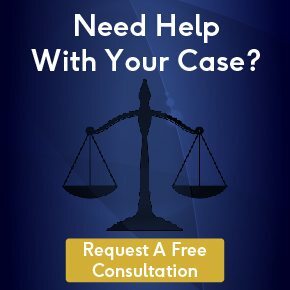 If you’d like more information or you’d like one of our attorneys to take a look at your case, simply fill out the “Request a Free Consultation” form or call our office at (916) 442-5835.